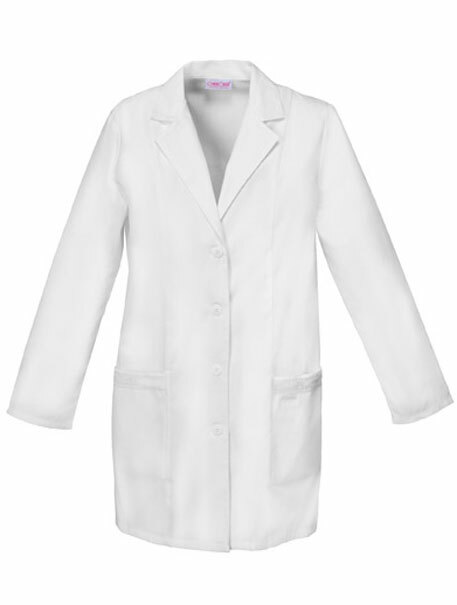 Lab coat with notched lapel, front and back princess seams. 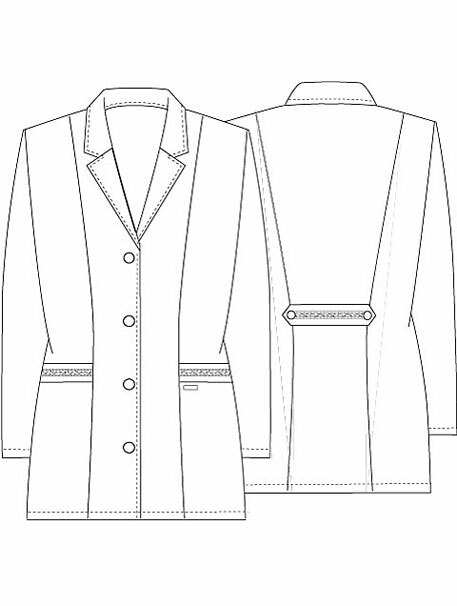 Jacquard ribbon trims the pockets and center back belt. Center back length 33"